ST. GEORGE’S, Grenada, May 25, CMC – Caribbean Community (CARICOM) leaders were Friday extending congratulations to Mia Amor Mottley, the first woman to be elected prime minister of Barbados. Grenada’s Prime Minister Dr. Keith Mitchell described the victory as “unprecedented” reminding Mottley that as she faces the “the challenges ahead, I am confident that this overwhelming mandate will be used to provide a new opportunity to address the priorities of all the people of Barbados. “Your record of inclusiveness will indeed take on new meaning in this period, as you aspire to live up to the expectations of the people for change and economic advancement; even as you work with your colleagues to advance the regional agenda,” said Mitchell, the only politician to have led his party to a clean sweep of the island’s parliament on three occasions. 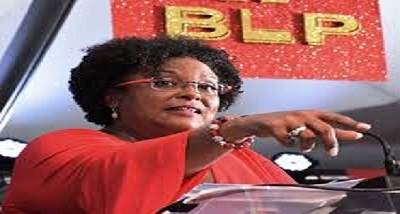 Mottley led the Barbados Labour Party (BLP) to a clean sweep of the 30 seat parliament during the May 24 general elections and Mitchell said he was personally looking forward “to working with you in addressing the many common and challenging issues of our time, including promoting the Caribbean Court of Justice (CCJ) as our final court. Former Barbados prime minister Freundel Stuart had promised to remove the island from the appellate jurisdiction of the court had his Democratic Labour Party (DLP) retained power in the election. Stuart had claimed that the court had shown a bias towards the island. “The BLP’s decisive victory is indeed extraordinary; and your win is at once a personal triumph and an historic achievement. I congratulate you, wholeheartedly, on such a feat and I look forward to working with you in that same warm spirit, which has marked not only our personal friendship, but the relations between our two countries for so many years. “On behalf of the Government and people of Grenada, I wish you and the BLP great success as you work to deliver the promised goals for a more unified and economically stable Barbados,” Mitchell said in his congratulatory letter. His St. Lucian counterpart, Allen Chastanet said the victory “was a historic day, not just for Barbados but also for the Caribbean. “The people of Barbados have spoken and delivered to Mia Mottley a highly impressive and extraordinary victory and on behalf of the Government and people of St. Lucia we congratulate the Prime Minister-designate and her team,” said Chastanet. “I personally congratulate Mia on this achievement and recognize that she has made history in Barbados and the Caribbean, joining an elite group of first female leaders in our region. “I have no doubt that Ms. Mottley will continue to work for the good of the people of Barbados and the region and we look forward to working with the new administration to advance the causes of the Caribbean and strengthen the bond between our countries. We wish the BLP team much success and continue to wish the people of Barbados much prosperity,” he added. Former Trinidad and Tobago prime minister, Kamla Persad Bissessar, who eight years ago became her country’s first woman head of government, expressed “sincerest congratulations” to Mottley. “The significance of your landslide victory cannot be understated, CARICOM and indeed the world looked on in awe, not only as you became Barbados’ first woman Prime Minister but also leading your Party to capturing all 30 seats. You have built a formidable record in the political arena, and your determination to succeed, your acumen and strength of spirit are admirable, “she said. 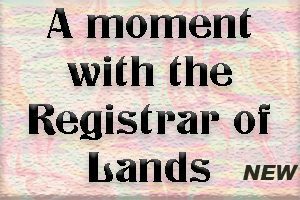 Persad Bissessar said that Caribbean society and the electorates of regional nation states are characterised by an unprecedented level of awareness. “Globalization, coupled with advances in social media and information technology have produced, on a foundation of sound education, informed and discerning populations, cognizant of their rights and eager to accomplish their deserved self-determination. “It is within this context, that the victory of your party in the recent polls is so remarkable, and has already touched so many lives, and serves as an inspiration to women and girls, to witness the shattering of yet another glass ceiling. Our region has much to be proud of as you stand as a trailblazer in women’s political participation and indeed leadership,” she added. Apart from Persad Bissessar, other Caribbean women to head governments in the region were the late Dame Eugenia Charles of Dominica, Janet Jagan of Guyana and Jamaica’s Portia Simpson Miller.